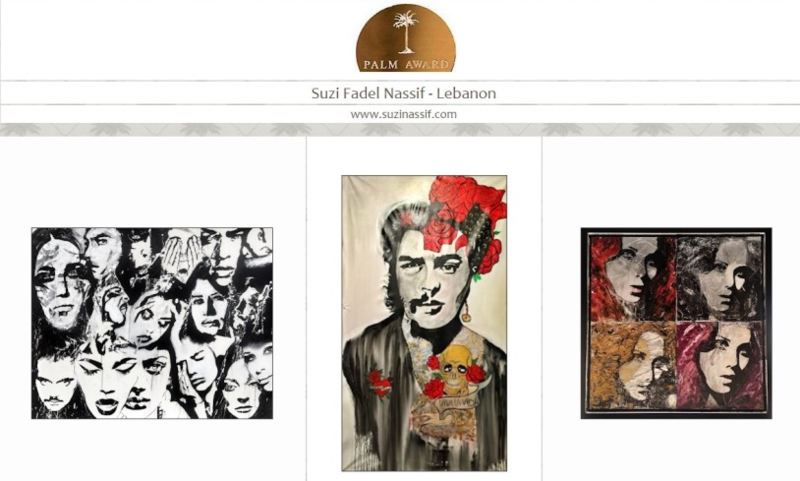 With continued stepping on the stairs of success, fame and glory, Suzi Nassif has been nominated for the world’s one of the most prestigious visual arts award- Palm Art awards 2016. Refining the standards of visual arts, the Palm Art Awards are granted to artists associated with any of the visual media including graphics, fine art photography, painting, digital art, installation artwork and sculpture. PAA seeks to attract emerging artists and every year thousands of artists from around the world submit their masterpieces. This is the first ever time Suzi Nassif is participating in this competition. As per rules, Suzi has submitted three of her marvelous art oeuvres titled ‘Dramatic Society’, ‘Phases of the Moon’ and her legendary ‘Che Frida’. The Palm Art Award 2016 competition will exclusively be held on the web. The winners for PAA this year will be declared on December 30, 2016.